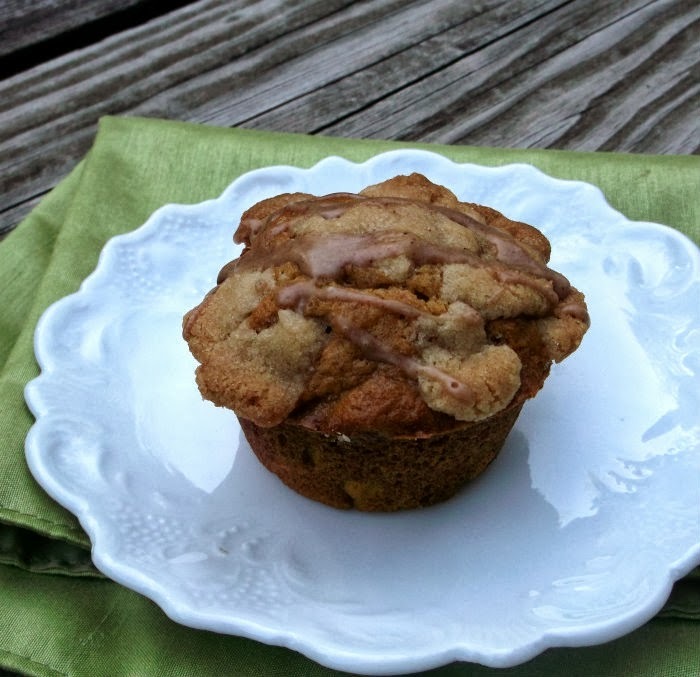 I believe it was just over a week ago when I posted a recipe for a streusel coffee cake muffin. I froze several of them for a later date. One morning as we were getting ready for our day I noticed our son Adam having one for breakfast. You are probably thinking what is the big deal with that. Well you see he is one of my kids that does not like to eat breakfast. I am a firm believer that you have to eat something for breakfast to start your day. So in hopes of enticing Adam into eating breakfast again I have decided to make some more coffee cake muffins. 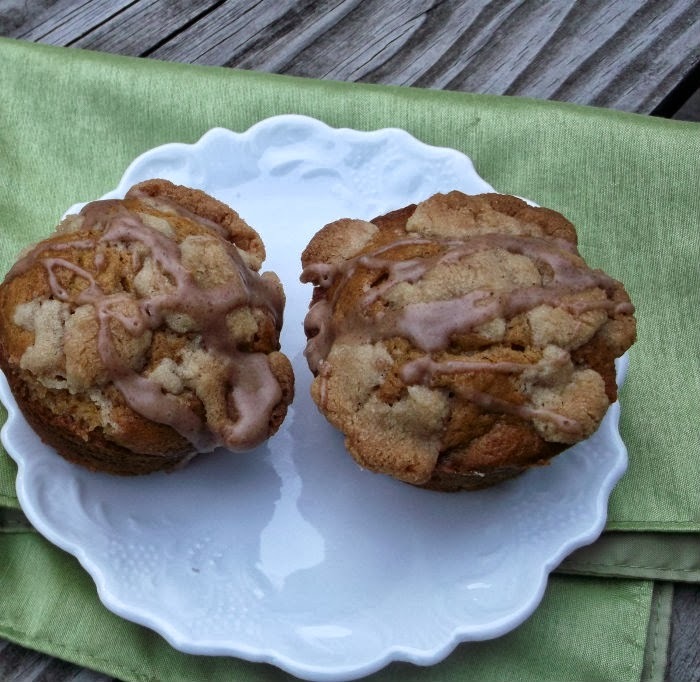 I stumbled across these pumpkin streusel coffee cake muffins on Pinterest. Since it is that time of year that calls for pumpkin, I decided to make them. I would say that they turned out to be a winner. Pumpkin is a must at this time of year and along with all of the spices and the streusel it is a great way to top it off. I am hoping to see Adam in the days to come taking one of these muffins out of the freezer for his breakfast. Prepare muffin tins with liners or grease. Preheat oven to 350 degree F.
For streusel, in a medium bowl mix flour, sugar, cinnamon, and salt. Cut in butter pieces into the dry mix with fingers or a pastry cutter, until mixture looks like coarse crumbs. Set aside. For batter, sift together flour, baking powder, baking soda, cinnamon, ginger, nutmeg, and salt, set aside. Beat the butter, brown sugar, and granulated sugar on medium speed until well combined. Bet in the eggs one at a time and scrape down the sides of the bowl as needed. Add the pumpkin and sour cream and blend. Add the flour mixture and blend on low until well combined. Scoop batter into muffin tins, filling a little over half way. The generously sprinkle streusel on top. Bake for about 20 minutes or until toothpick inserted comes out clean. For glaze, add ingredients in a small bowl, stir until smooth, drizzle over baked and cooled muffins. At this time of year, i find myself adding pumpkin to everything! 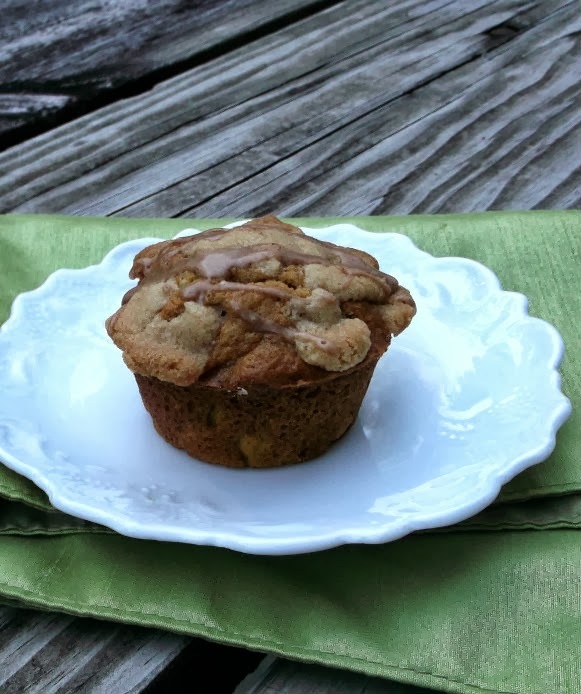 These muffins look like a fabulous way to start the day! I took one look at the ingredients list and thought “yikes” but then as I kept reading I realized that this is an easy and delicious looking recipe. I’ve made pumpkin breads but not muffins. This one’s going to be on my list. Yum! I would love to have one of this muffins for tomorrow breakfast. Great looking muffins! I can never skip breakfast – although I don’t eat a ton (usually fruit and a hard-boiled egg), I must have something. These muffins looks wonderful, and would be ideal!